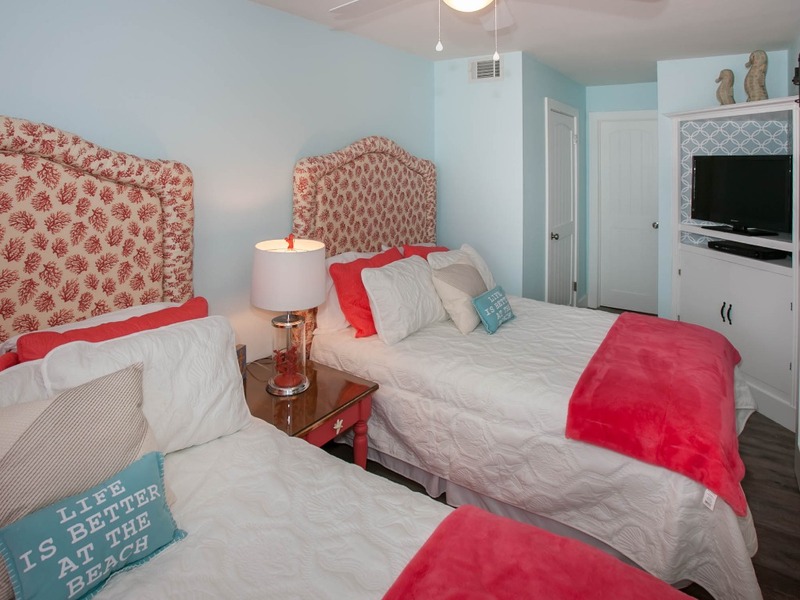 $99 per night + taxes and cleaning on any open nights in April and May. 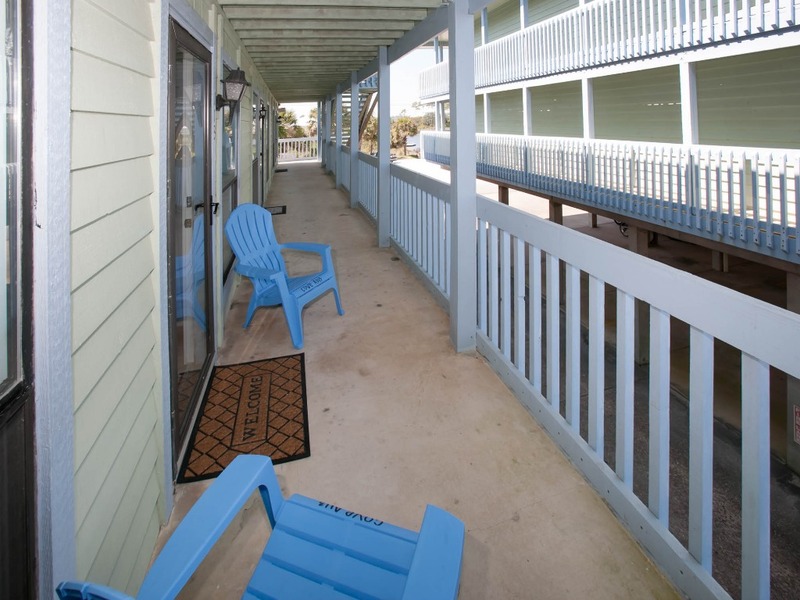 Immaculate, affordable, recently renovated 1/1 condo in the heart of Gulf Shores across from beach. 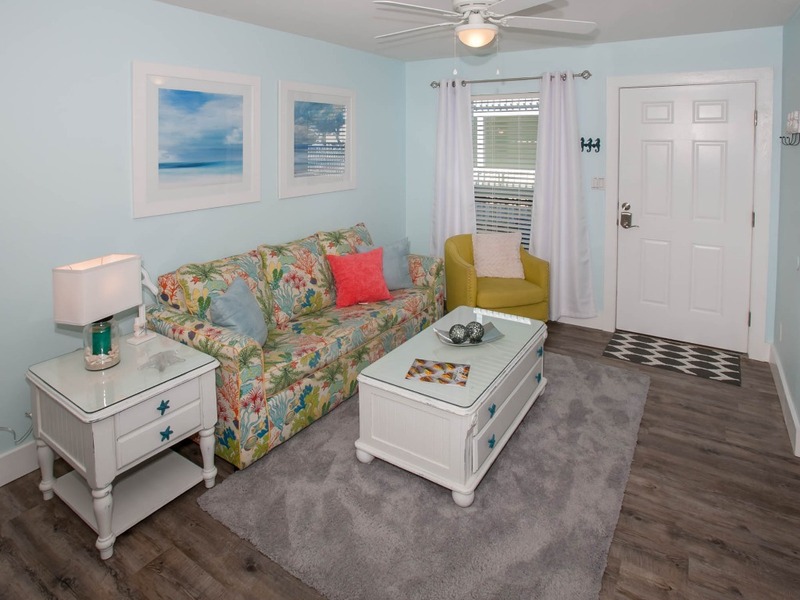 The Cove A113 has been totally renovated with new tile floors, fixtures, comfortable furnishings, fresh paint, custom cabinets, & quartzite countertops. 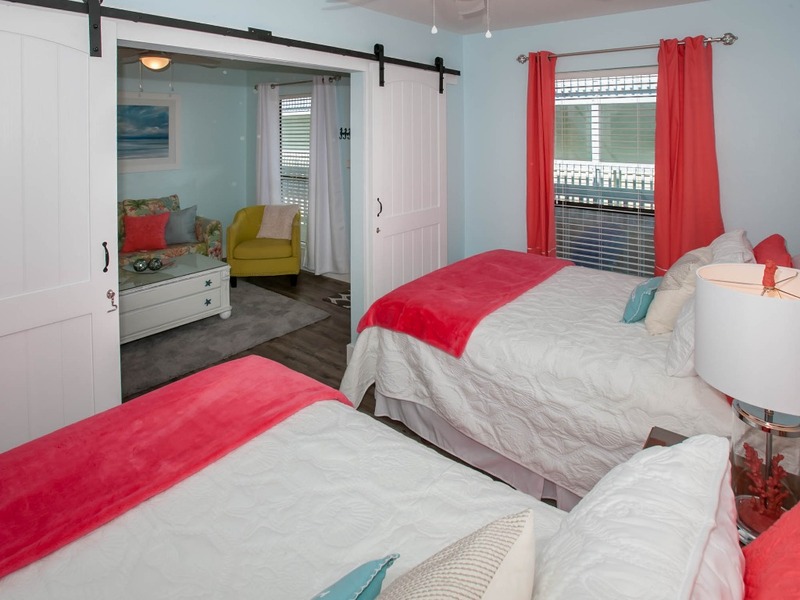 Bedroom in this unit has two full-size beds that can sleep 4 comfortably. There is also a queen size sleeper sofa in the Living Room. 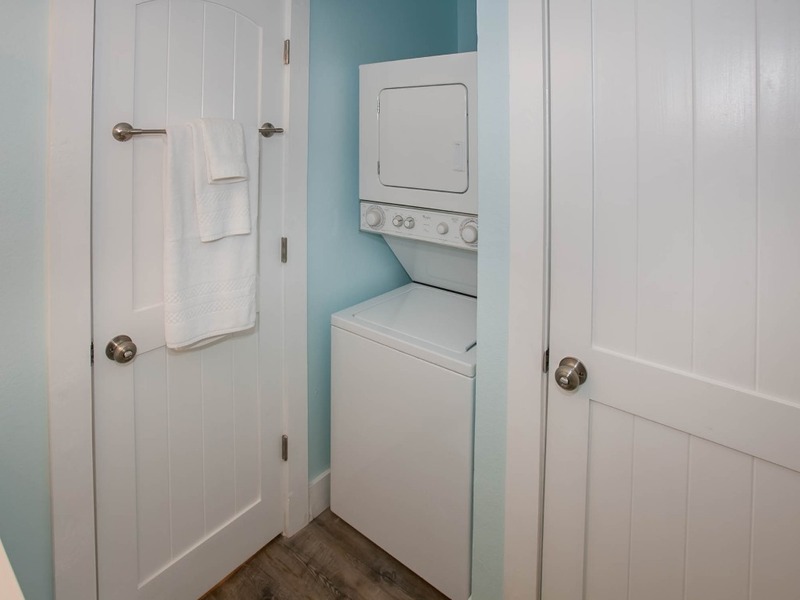 The unit also features a dining counter with seating for 4, a stacked washer/ dryer unit & wifi. 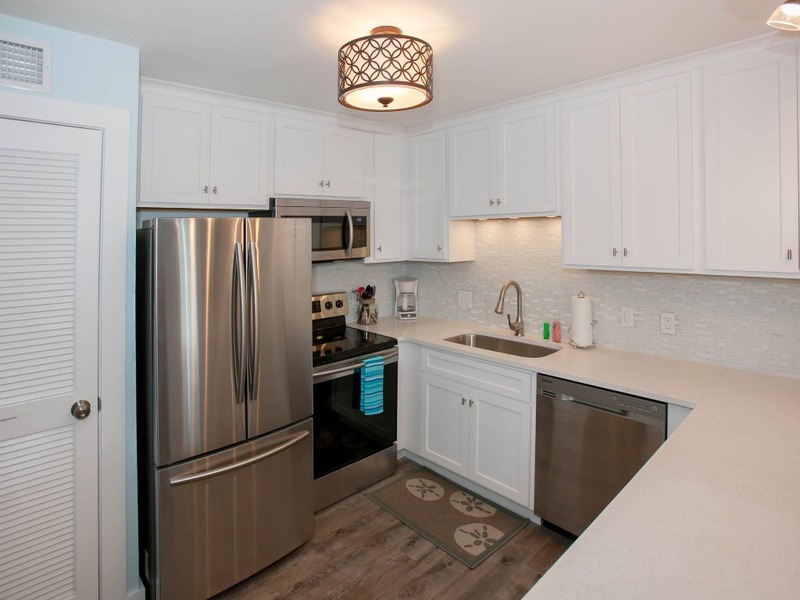 There is a fully equipped kitchen with dishes, glasses, flatware, pots and pans, and cooking utensils. There is a coffee maker, a toaster, and a blender as well. 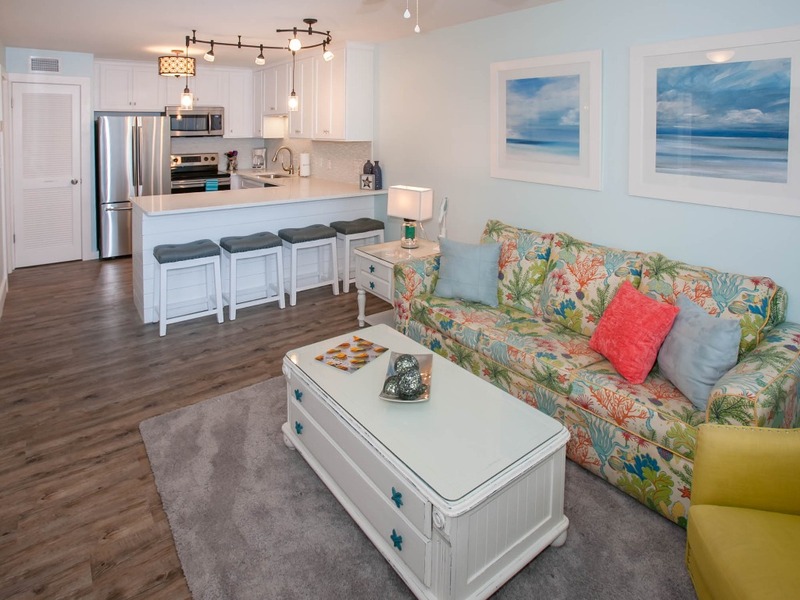 When you arrive, the condo will be clean and stocked with an initial set up of toiletries, dish and laundry soap, paper towels and toilet paper. You will most likely have to replenish this during your stay. 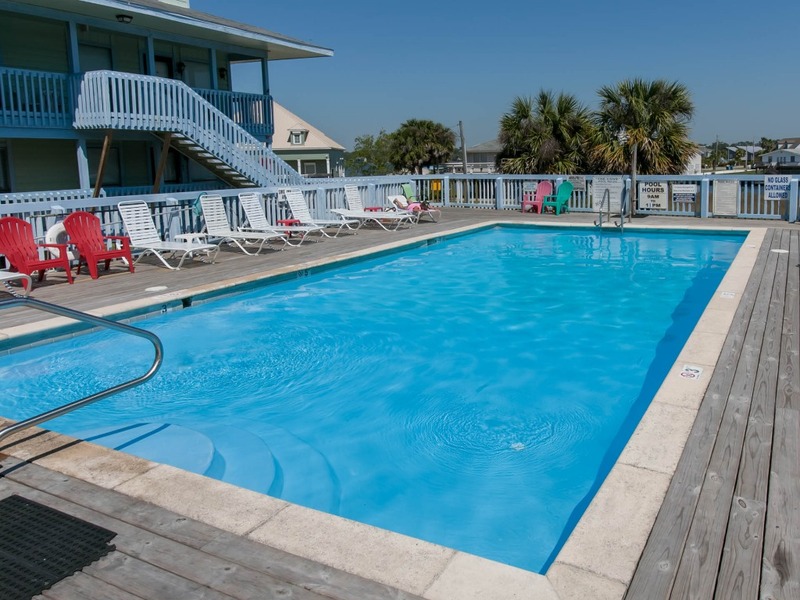 Linen/towels are provided for the condo, and should not be taken to the pool or beach. You will need to bring beach/ pool towels. 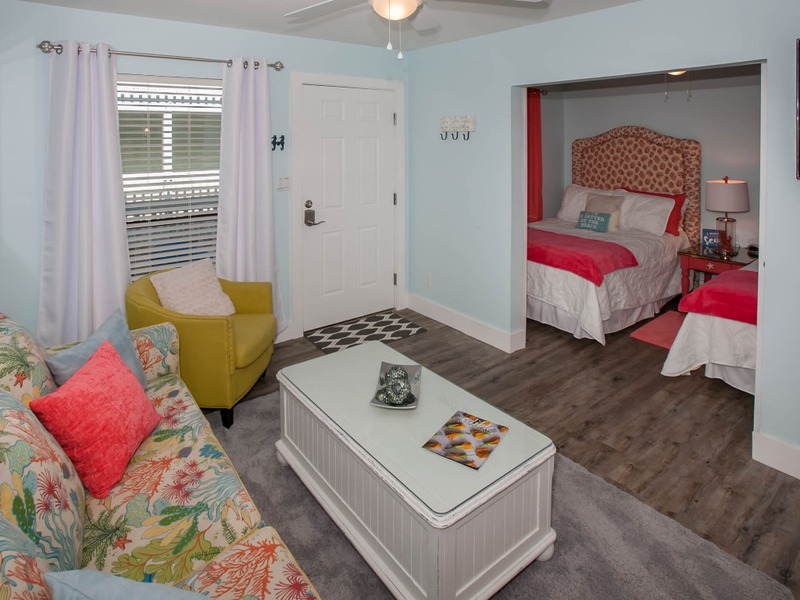 This unit has been tastefully decorated, setting the stage for an unforgettable beach vacation. 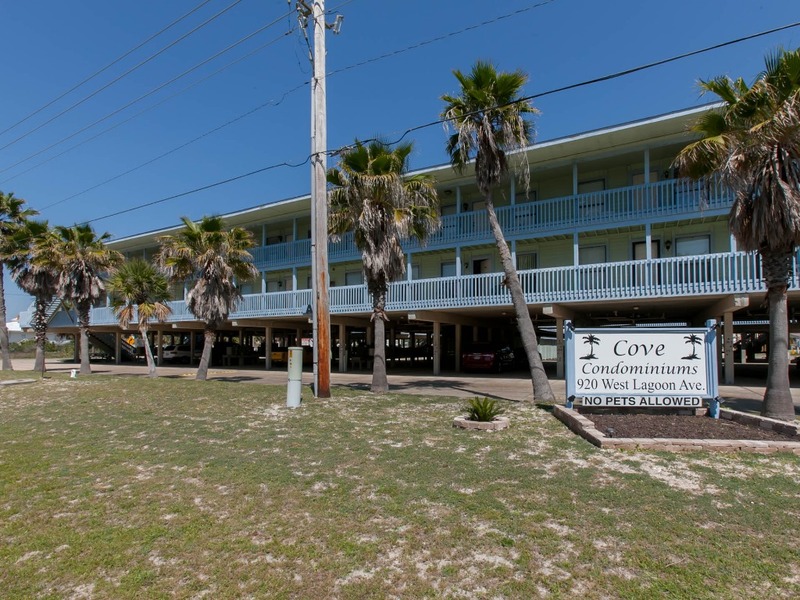 The Cove condominium is located 0.7 miles from The Hangout, convenient to all that Gulf Shores has to offer. 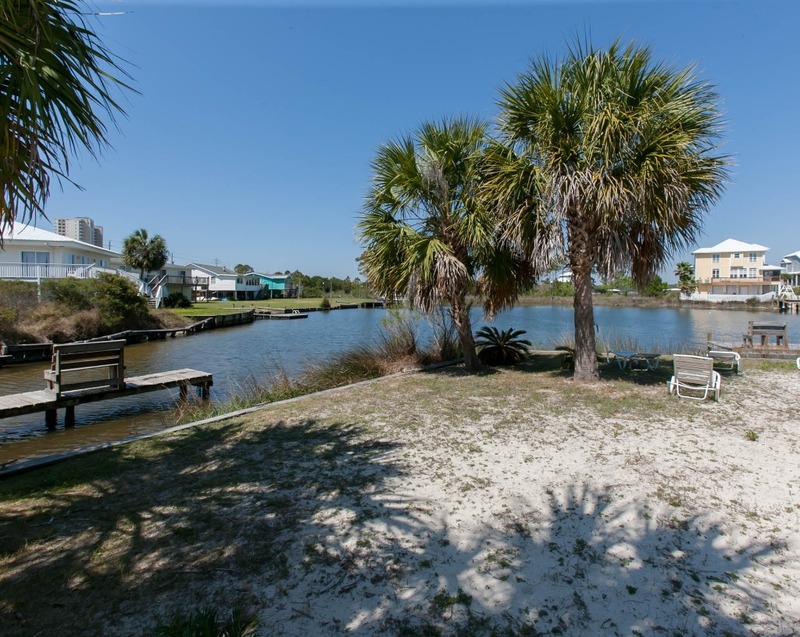 The unit is located across the street from the beach and is located where Beach Boulevard splits into Lagoon Avenue. Unit A113 is located in the "A" building which is the building closest to the road. It is up one flight of stairs and there is no elevator. 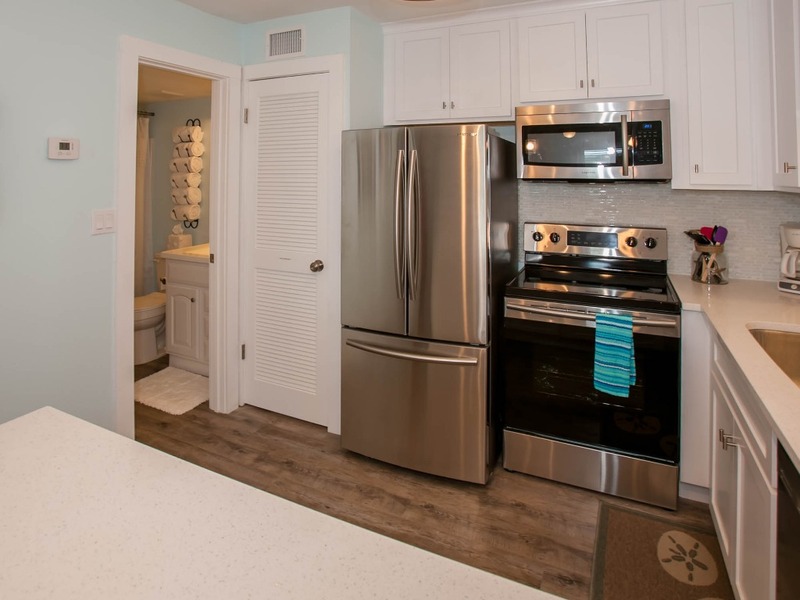 There is a fully equipped kitchen with flatware. 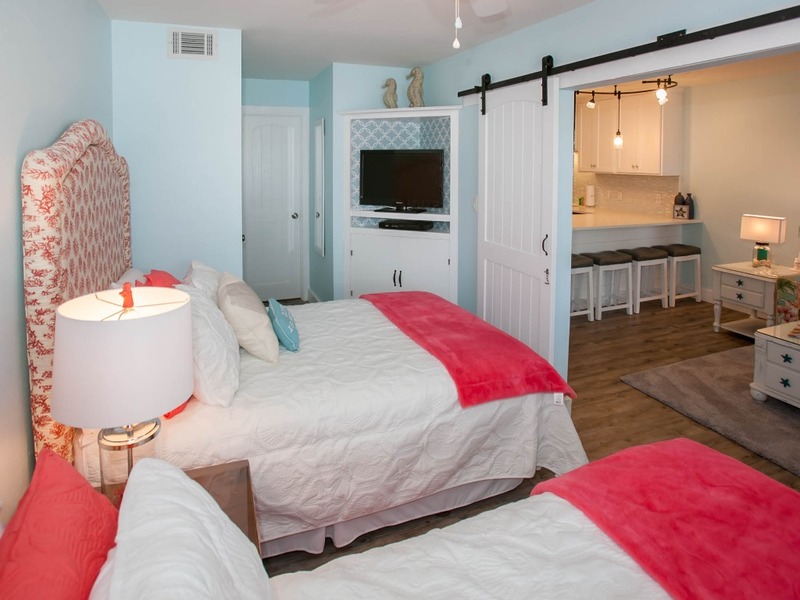 Linen/towels are provided only for the condo and you will need to bring beach/ pool towels and other personal items. 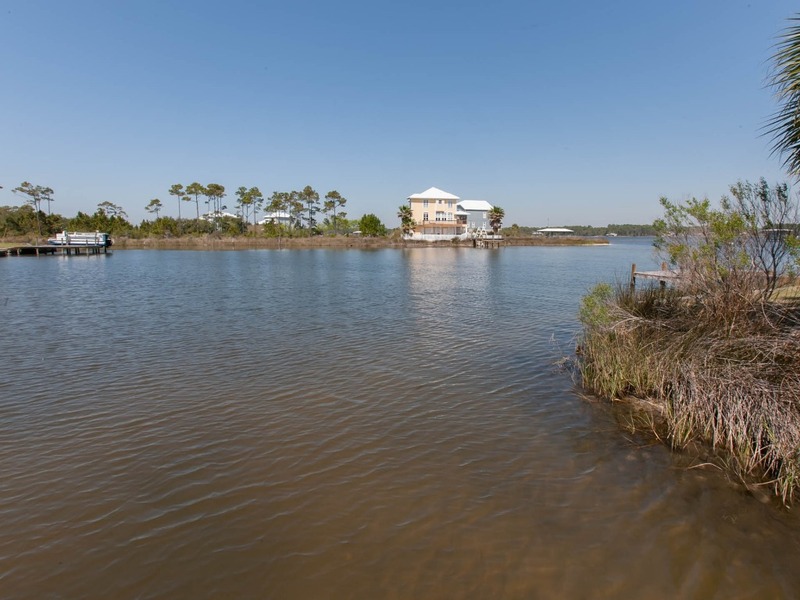 The complex features beach access, outdoor pool, BBQ grills, a lagoon-side pier and small boat launch (small boat, kayak, or jet ski). The pool is very nice which is indirectly in front of the condo which makes it very nice if you have small kids. 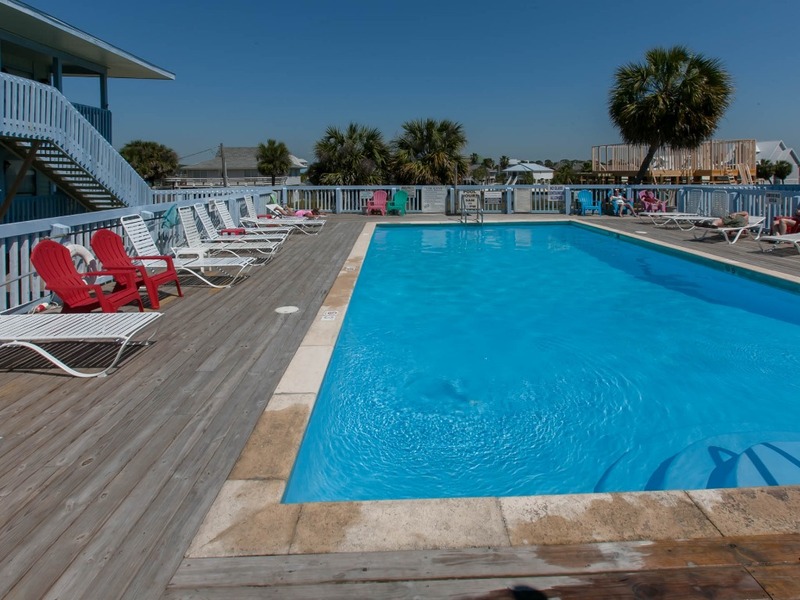 The pool is also surrounded by a spacious sundeck and gazebo with benches. The Gulf of Mexico is just across the street. 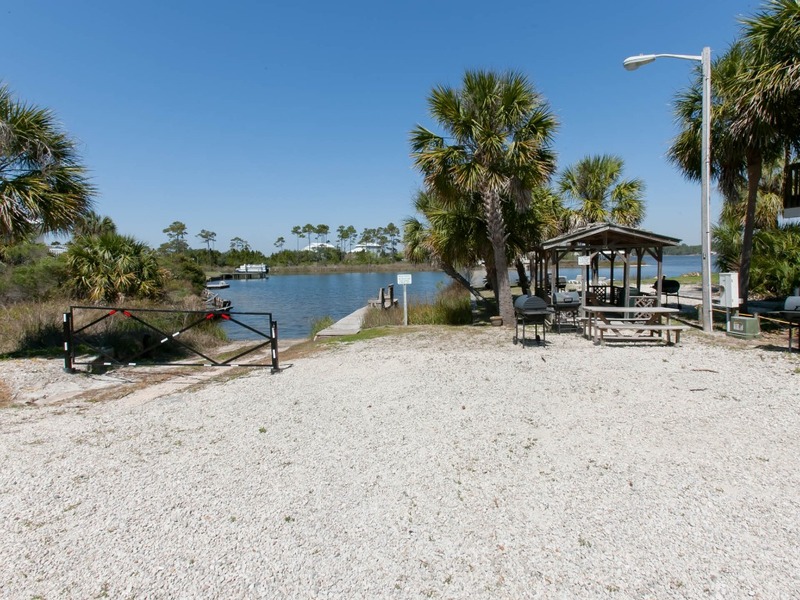 Unit has one covered parking space, and additional parking near boat launch. Close to the Wharf, Waterville, The Zoo, and the Hangout. Several public golf courses nearby. Tanger Outlets and OWA a short drive away in Foley. Free Basic Cable and WiFi. Please note: The Wifi is shared with the building (80 units). This is an older building. The Wifi was designed so that people could surf the internet and check emails. It is sometimes sporadic and slow especially during the high season when there are multiple guests using the same internet. If you are planing to stream videos or work, know this before you book. 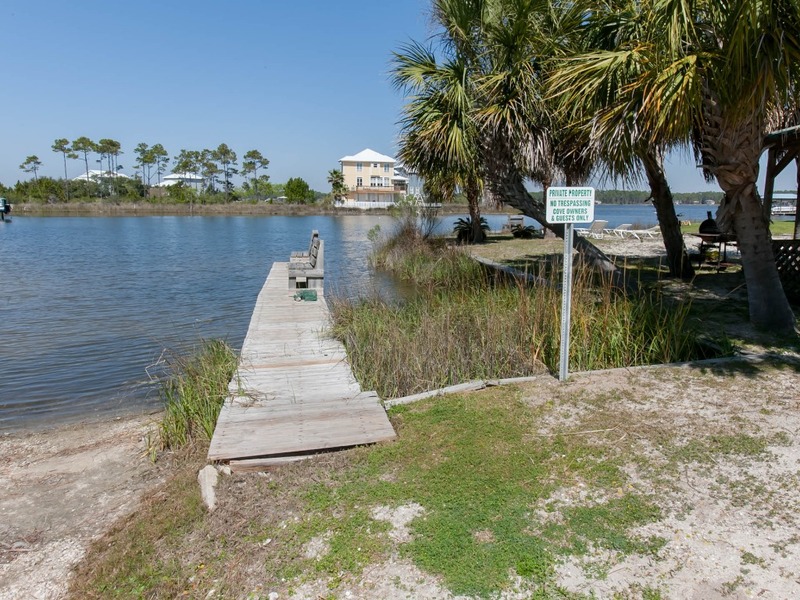 The property has its own boat launch to the Lagoon and Barbeque area. Large pool with sundeck. Check-out is at 10:00 a.m. and check-in is 4:00 p.m.
NO PETS ALLOWED by condo Association. The $200 deposit is due at the time of making reservations. The garbage must be taken to dumpster before leaving. Cancel within 48 hours of booking and 30 days before check-in to get a full refund. Cancel up to 14 days before check in and get a 50% refund (minus service fees). Cancel within 7 days of your trip and the reservation is non-refundable. Unit is up one flight of stairs. No elevator. Pool is on same level as unit. 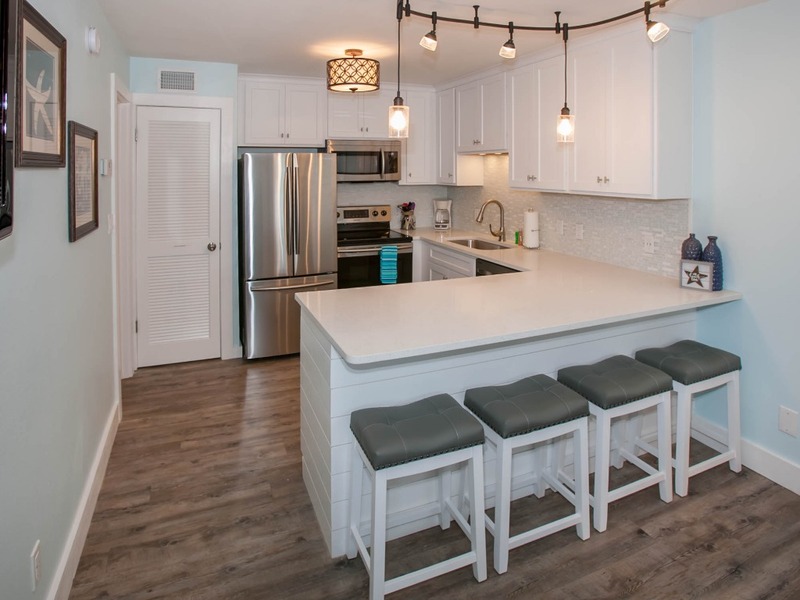 Condo was purchased in 2017 and fully renovated to enhance the rental experience. Everything was clean and even they spaced out utilizing the maximum square footage of the dwelling. It was beautiful neat and I had an amazing time. I will reccomend and return soon. 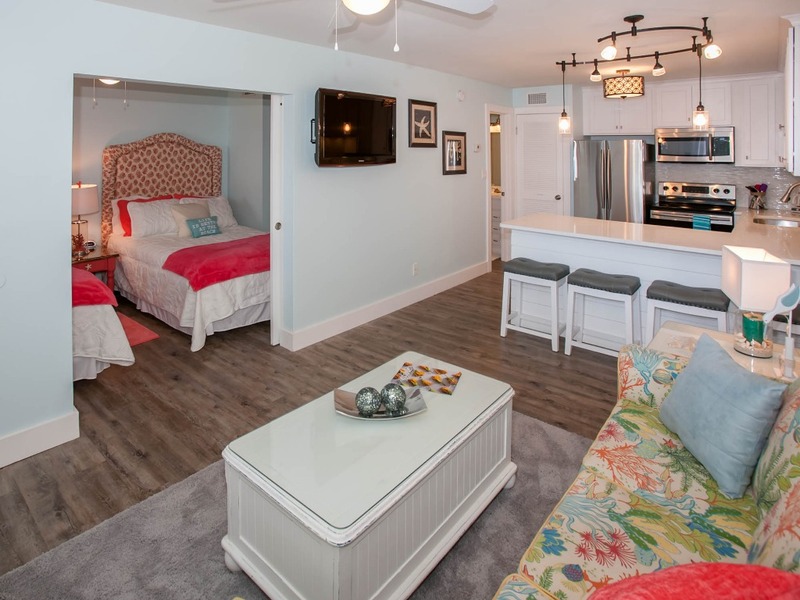 This condo has been recently renovated and has so many nice little features that we enjoyed during our stay. It was perfect for our family of 3. 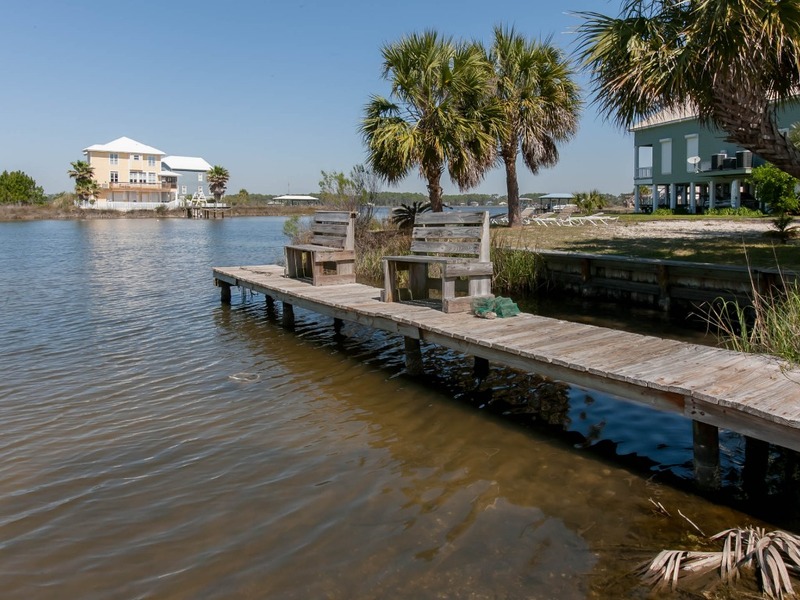 We loved the onsite pool and the boat dock. 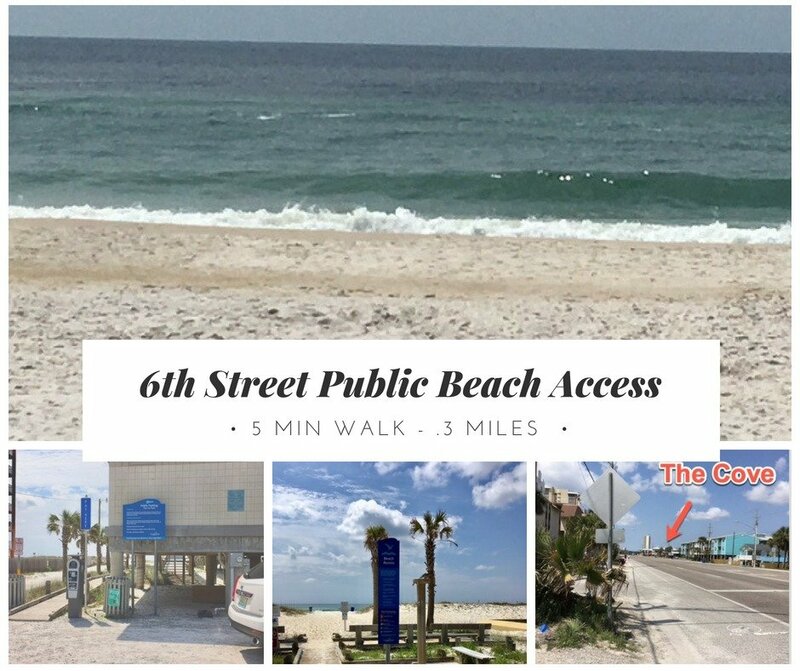 The location was quiet but accessible to the beach and restaurants. Francine was a wonderful host and gave us all the information we needed for our stay. We really enjoyed the condo. Not a far walk to the beach. The condo itself is very updated and nice and clean. The pool is very nice also. Overall this was an awesome place to stay. Everything was easy from the time of our arrival, during our stay, and departing...the instructions ...making you feel welcome. The place was cozy and it felt like a home ...very welcoming. My mother, my 2 daughters, and I stayed here on a 2 night rest on our way back across the country. The condo was immaculate and had all the supplies we would need! Francine was amazing to work with and continually checked in on us! The only negative of our whole stay was the condo group wifi - it rarely stayed connected. Other than that, I would recommend this condo! 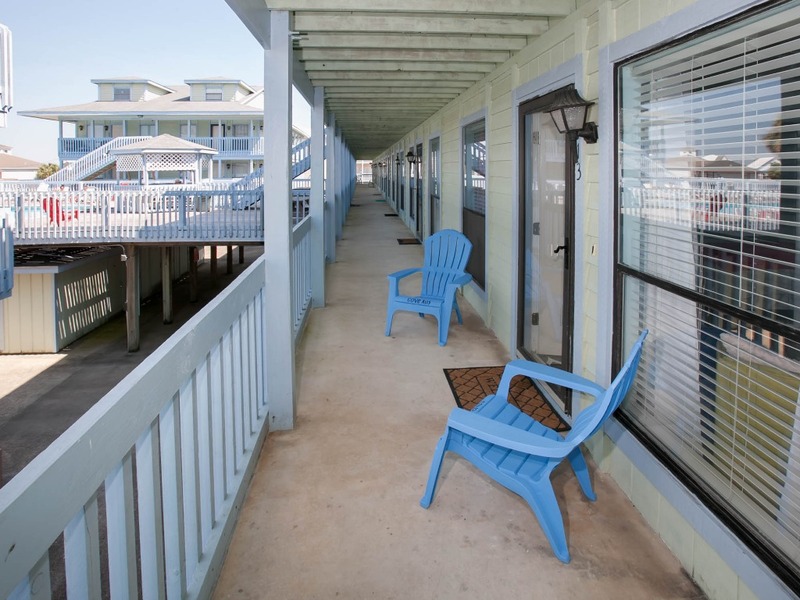 SUPER close to the beach and easy access to everything! We loved our stay at this condo. The space was beautifully decorated, everything was updated and very clean. The location was perfect for us. The host was easy to communicate with and very helpful. Highly recommended. This accommodation was perfect for our stay. 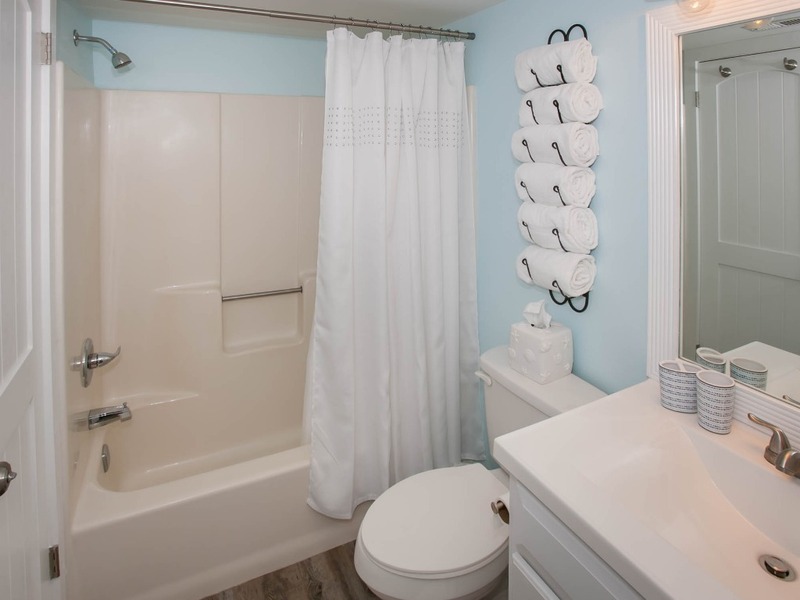 It has definitely been updated with top of the line appliances and decor. 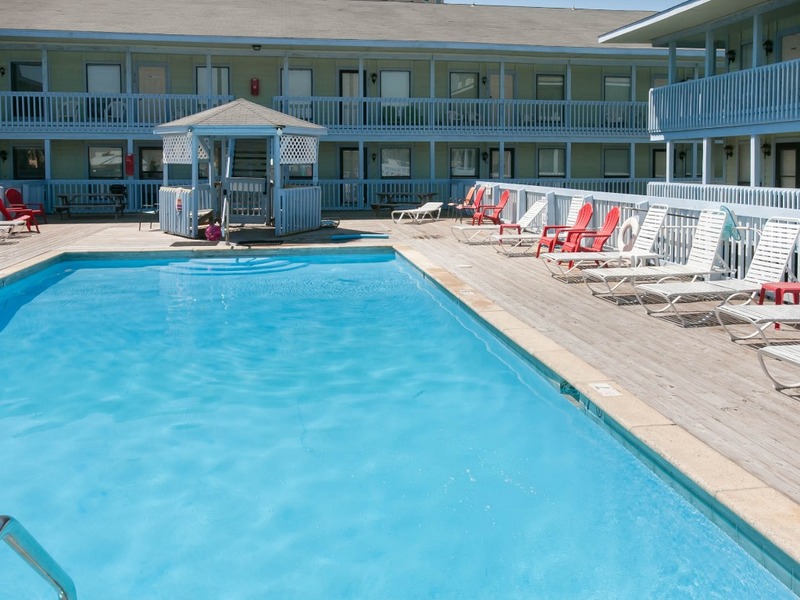 The location was excellent and if we did not feel like going to the beach, the pool was right outside our door. I also give it a five star for cleanliness. If I wanted to clean something myself I was able to find cleaning supplies and a broom to sweep the sand. Before and throughout my stay, I received excellent communication and immediate responses from Francine. 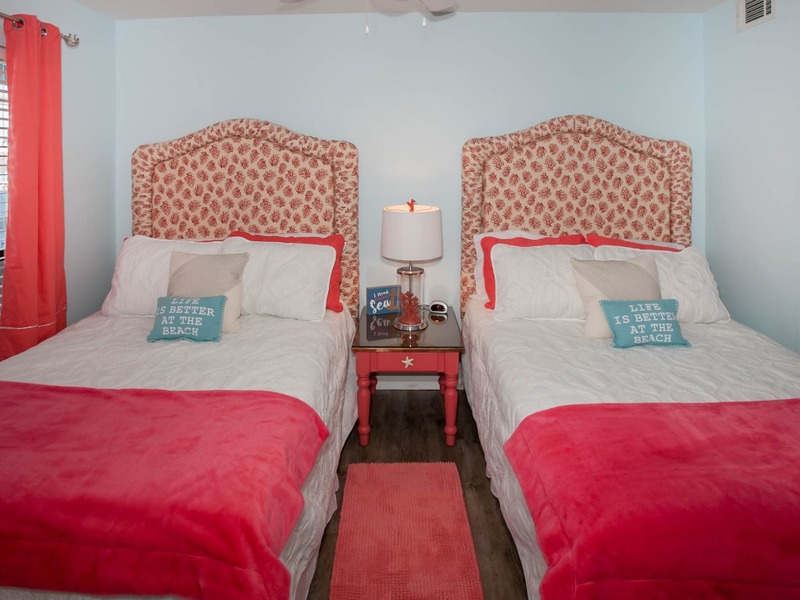 We will definitely be referring this location to friends and family and hope to be return guests ourselves. Our stay at this location was very nice! We had an amazing time and the condo was exactly what we expected it to be. It was very well done and very clean which was great! This place was an awesome place to stay. They had great appliances, everything was wonderful.  Walking distance to the beach and pier 33 groceries. Overall great stay! My husband and I wanted a quick getaway with our boys. The condo was great, newly remodeled, clean, and had everything we needed to sit back and relax as a family. 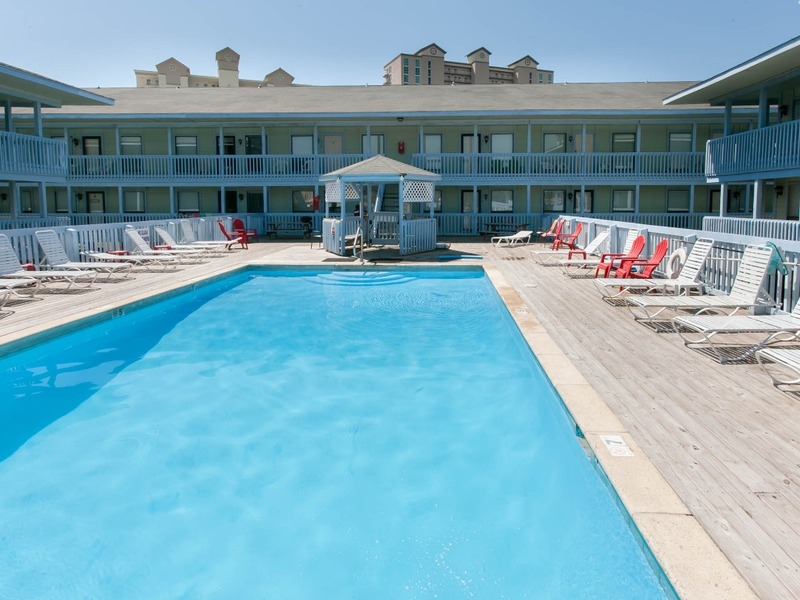 We choice this unit due to it proximity to the pool and was well worth it. I would definitely recommend staying here again and the owners did a great job of communicating with us. Francine gave us some fun suggestions to keep our boys busy when we weren’t at the beach, fishing or swimming.